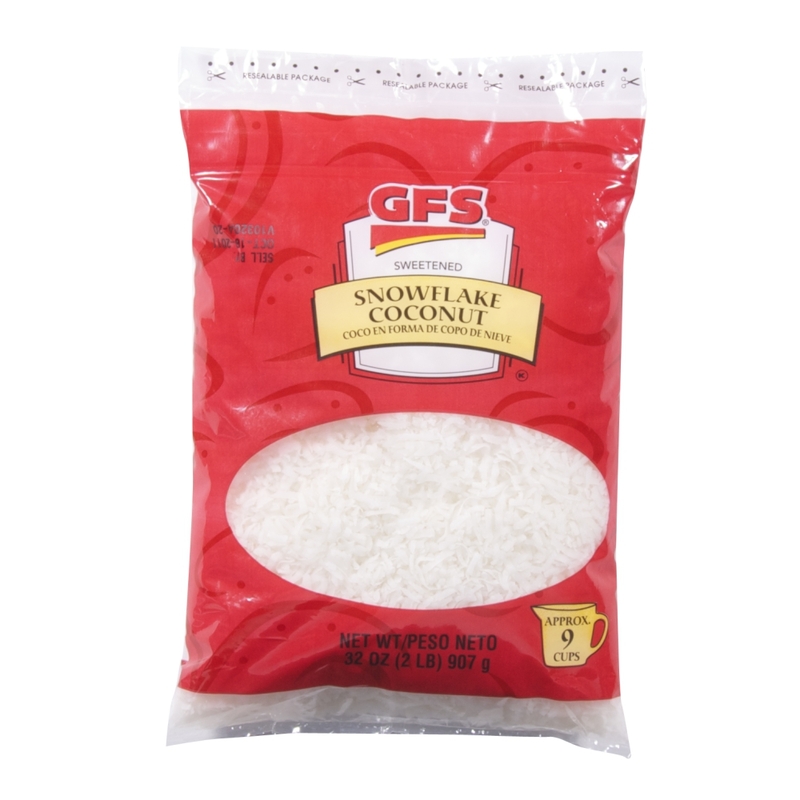 Sweetened and fine-shredded snowflake coconut. Approx. 32 – 1 oz. servings.